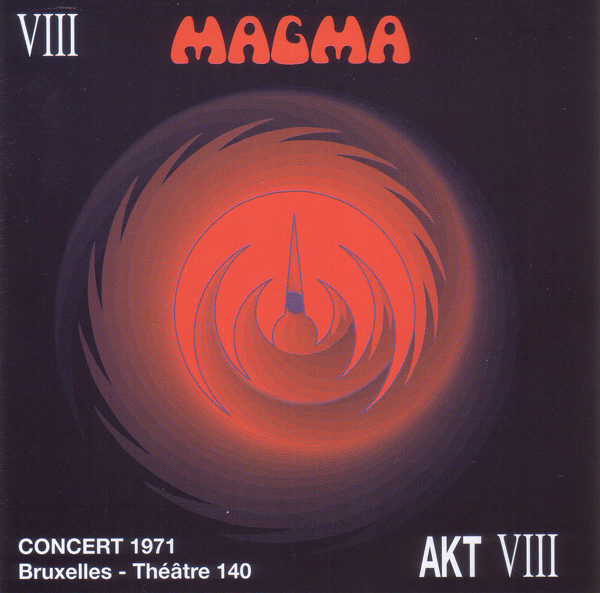 Prior to the release of this, the earliest Magma shows that could be found on the tape collector circuit were mostly from the 1973-74 period (although a partial show from Metz in 3/72 exists). So this recording from 11/71, featuring what is probably the earliest recorded live performance of their classic "Mekanïk Destruktïw Kommandöh" (an earlier version from 8/71 on the Puissance 13+2 sampler was essentially a studio recording), comes as a complete surprise, especially given the good sound quality herein. Fans of the first two albums will find plenty of that material here, in a live and somewhat rawer form. The show kicks off with "Stoah" (yikes! can you imagine Klaus' high pitched shrieking at the audience for five minutes in Kobaïan), then they move into the more familiar "Kobaïa." All of the second album is here, as well as "Aïna" and the aforementioned two from the first, and "Sowiloï" (also on Inédits). Unlike later live recordings by the band, here they stick pretty close to the studio versions without a lot of improvisation or variation. "MDK" is still in the embryonic stage here, a light jazzy intro leads to the main theme briefly played on jews' harp with piano, at this point clocking in at only 17 minutes total. Certainly, this is one that any Magma fan won't want to be without.